Choice architecture is about how choices are presented and helping people build decisions. How options are presented or framed will inevitably influence the decisions people make. 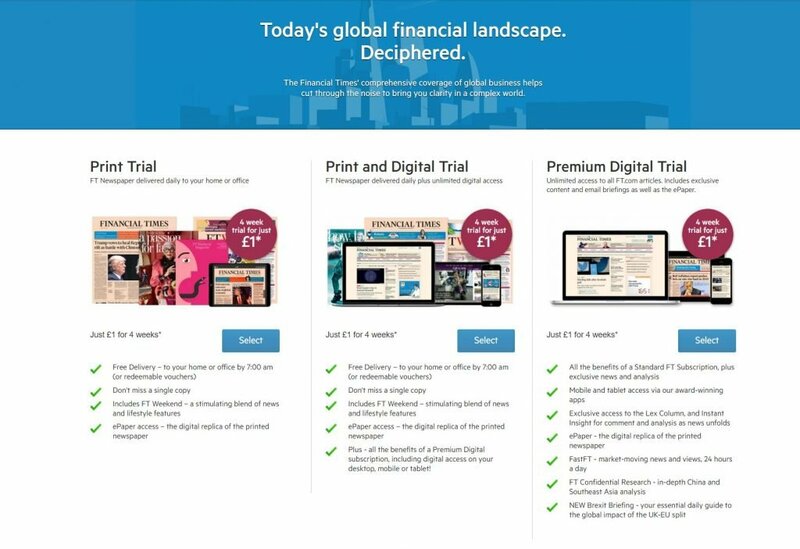 The FT.com site below has 3 subscription plans, one of which is for print only. You might wonder who would want the print only plan when for the same price you can get print and digital. From research we know that having such an inferior plan as the print only option can heavily influence the proportion of users who choose one of the remaining plans. 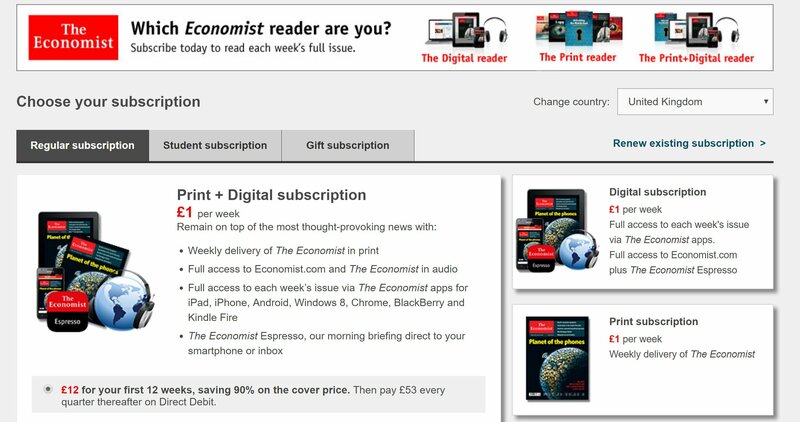 The print only offer is a decoy plan and is unlikely to get many subscriptions, but having such an option often boosts the number of people selecting the premium plan. Try A/B testing adding a decoy plan to see how it affects your subscriptions. Also see decoy plans.